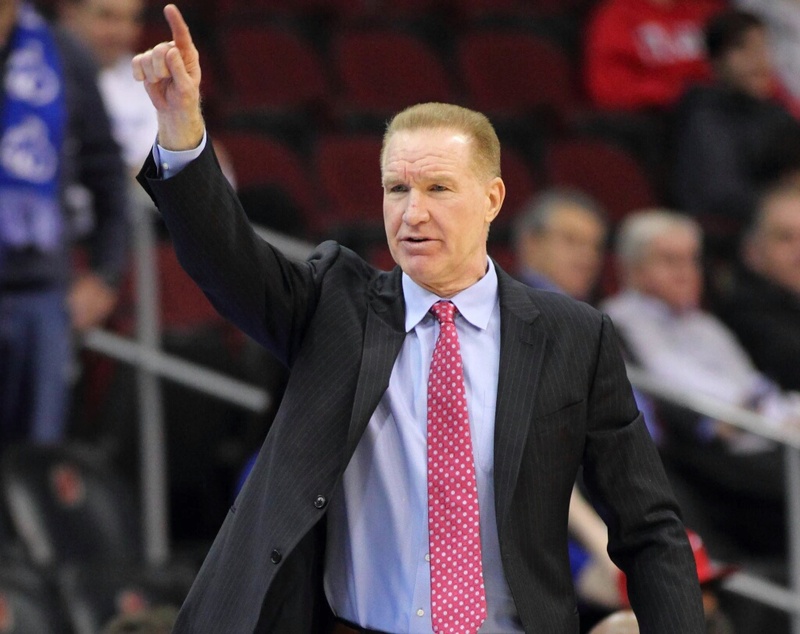 St. John's Head Coach Chris Mullin. @StJohnsBBall. St. John's lost a tough one, 82-68, to Creighton in front of 17,006 fans at CenturyLink Center Omaha on Tuesday night. Shamorie Ponds led the way for the Red Storm in the losing effort, tallying 16 points and registering a career-high six assists. The freshman from Brooklyn also dished out three assists and surrendered no turnovers in 35 minutes of action. 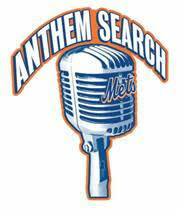 The New York Mets will host their 2017 Anthem Search on Tuesday, March 14, with the winner performing the National Anthem on Thursday, August 17 during the Subway Series. The first 100 contestants to arrive are guaranteed an audition to sing a song of their choice – excluding the National Anthem – a cappella. 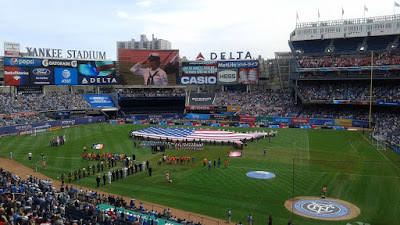 The audition on March 14 will be held from 10:00 a.m. – 12:00 p.m.
Contestants must check in by 11:00 a.m.
New York City Football Club announced on Monday the creation of the NYCFC Girls Soccer Academy. The new Academy program will provide an elite training environment for girls across four age groups (U-14, U-15, U-16/17 & U-18/19), offering the highest level of technical standards and competition for New York’s brightest young talent. Bashir Ahmed puts one up against Georgetown. @StJohnsBBall. 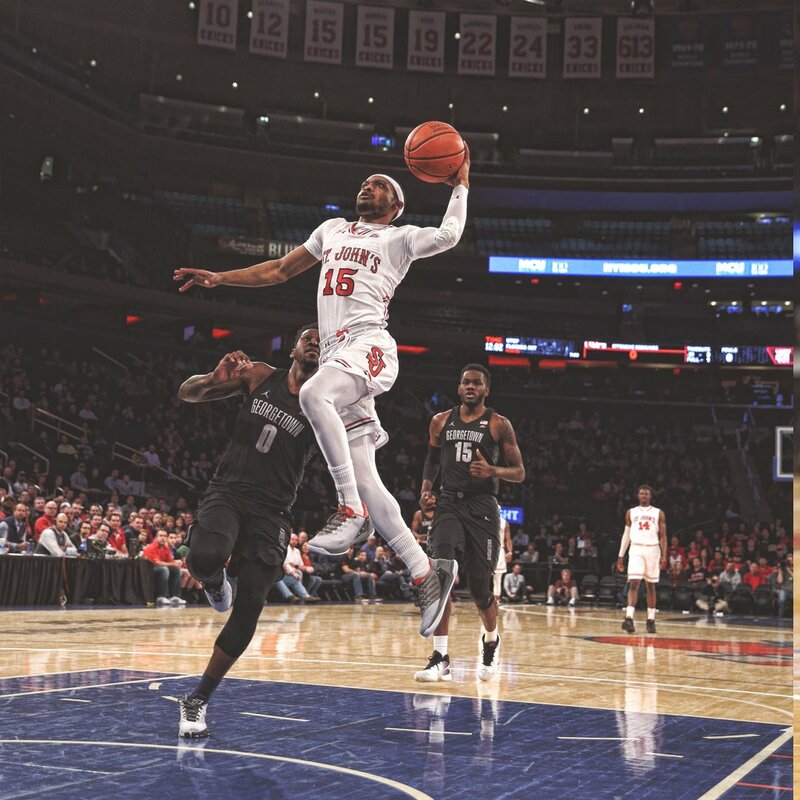 After helping the St. John's Red Storm notch its seventh Big East victory of the season on Saturday afternoon, an 86-80 triumph over Georgetown, Shamorie Ponds and Bashir Ahmed have been recognized by the conference for their efforts. Ponds was selected as the Big East Freshman of the Week, while Ahmed found a spot on the Big East Weekly Honor Roll. 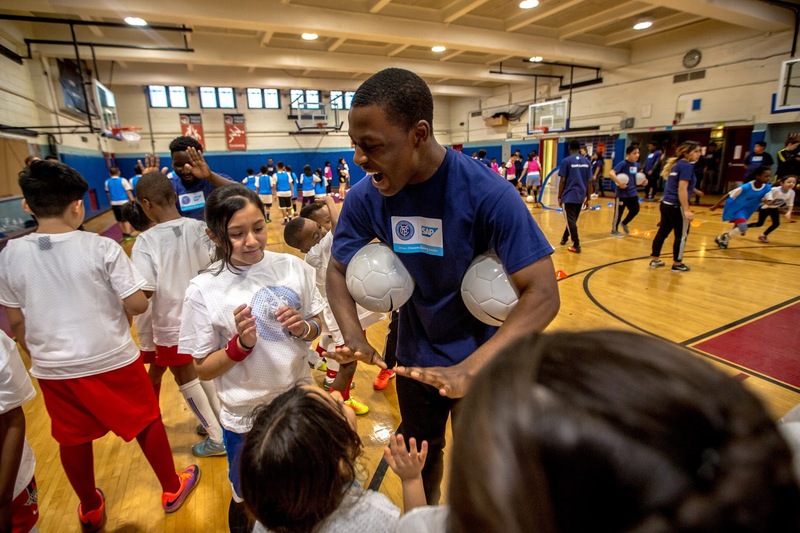 More than 40 local Young Leaders from ‘City in the Community’ (CITC) partners came together last week to take part in the New York City Young Leader Training. During the week-long training program, the Young Leaders participated in a variety of in-classroom seminars and on-the-pitch training sessions to develop their leadership and coaching skills, share experiences and gain knowledge that will help them tackle the most pressing social issues affecting the five boroughs. Marcus LoVett slams one home - @StJohnsBBall. 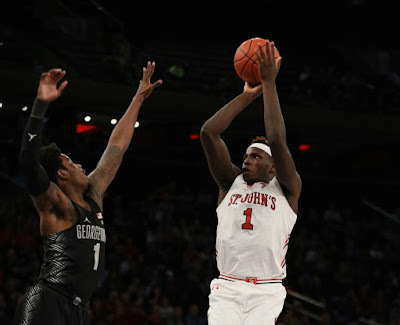 St. John's got a big win on Saturday afternoon at Madison Square Garden, as they outlasted Georgetown, 86-80, to improve to 13-16 overall and 7-9 in Big East Conference play. After trailing by one at the half, St. John’s sank 52 percent of its field goals in the second half, including 4-for-5 from downtown. Shamorie Ponds led the way for the Red Storm with 24 points on 10-of-15 shooting to become just the third freshman in program history to eclipse the 500-point mark in a season. Ben Sweat - Photo courtesy NYCFC. 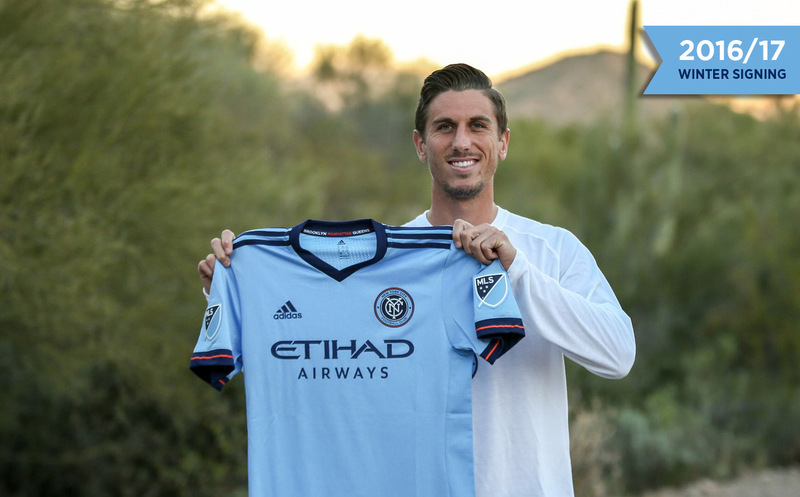 New York City Football Club announced the signing of Ben Sweat on Thursday. The 25-year old defender signs after spending preseason with the team in Florida, Ecuador and Arizona. 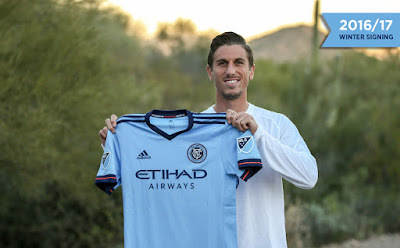 Sweat told NYCFC.com: “Watching from afar, from the moment NYCFC joined the league I knew that this one of the best clubs out there to come to as a professional - I couldn’t have landed at a more perfect place. Bradley Wright-Phillips (99) after his goal. @NewYorkRedBulls. 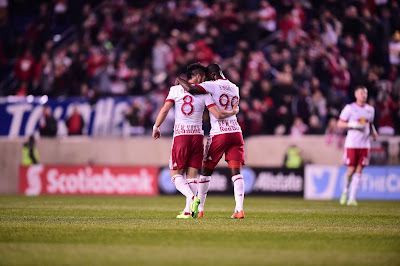 The Red Bulls tied the Vancouver Whitecaps 1-1 on Wednesday night in the first leg of a Quarterfinal series in the Scotiabank CONCACAF Champions League at Red Bull Arena. 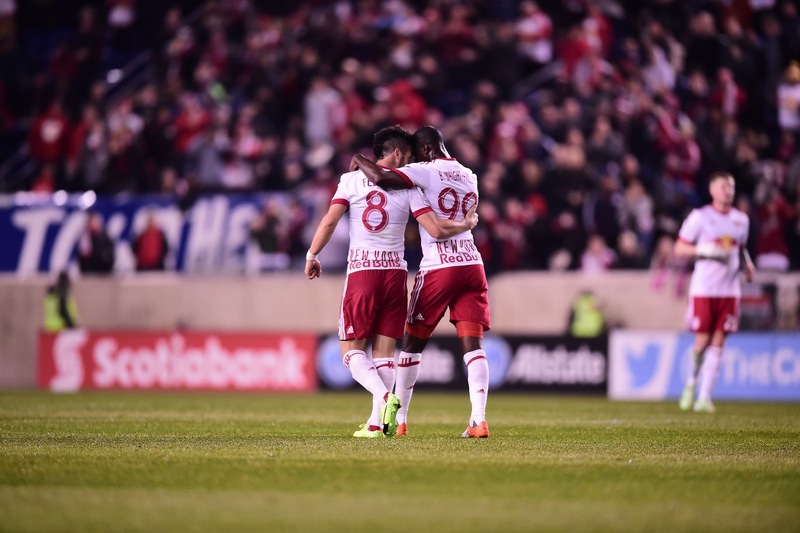 It was the first match in 2017 for the Red Bulls, and they will head to Vancouver for the second leg next Thursday, March 2. New York then travels to Atlanta to open the MLS season against expansion team Atlanta United FC on Sunday, March 5. 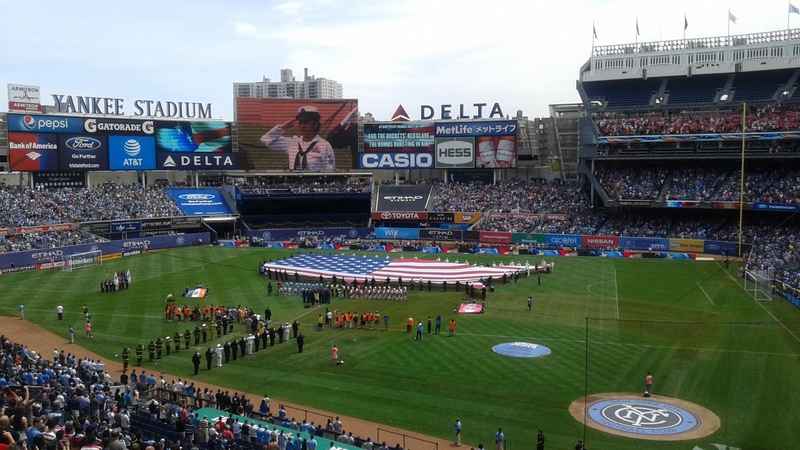 The MLS home opener is set for March 11, when the Colorado Rapids visit Red Bull Arena.